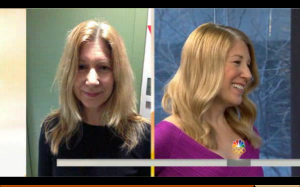 I was thrilled that my gorgeous and talented client was featured as one of the models on the Today Show this morning. It’s Michelle Obama’s 50th birthday and what better way to celebrate then by featuring women that rock! Linda is a mom of 8 year old twins and works full time. I don’t know how you moms do it all! Congratulations lovely Linda. 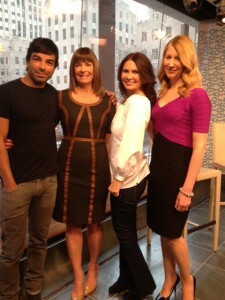 Harry Josh (celebrity hair stylist) and Trish McEvoy (legendary makeup artist) with Linda and Stacy, 50 and fabulous!